EC Tests – A class is offered for each of the published Equestrian Canada tests for each of the following Levels and Divisions. Please use the Silver or Bronze Entry Form and clearly indicate the Level, Division and Test you wish to ride. All classes are held in a 20×60 ring. FEI tests – For all FEI tests, please refer to https://inside.fei.org/fei/your-role/organisers/dressage/tests. Para Equestrian tests – All Para Equestrian tests can be found at https://inside.fei.org/fei/your-role/organisers/p-e-dressage/tests. 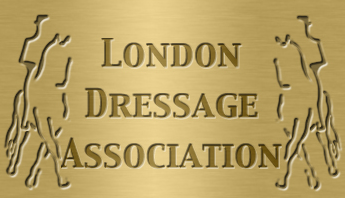 Miscellaneous Classes – Miscellaneous classes are part of the Bronze show but are open to entries in both the Silver and Bronze shows. There are no cross entries allowed between the Bronze and Silver shows other than for these miscellaneous classes. Please use the same entry form as for your other classes and indicate clearly which test and Level you wish to ride, and who your partners are, if applicable. Test of Choice (TOC) – is offered in each level. All divisions compete in the same classes. All tests at the same level are included in one class for the TOC. You select what level and test you want to ride. You may compete against another rider riding in the same level but using a different test. This class offers riders the chance to ride a test they have never ridden, use a test as a warm up or compete against riders whether they be junior, open or adult amateur. We will try to offer the Test of Choice class prior to the scheduled classes in each level.